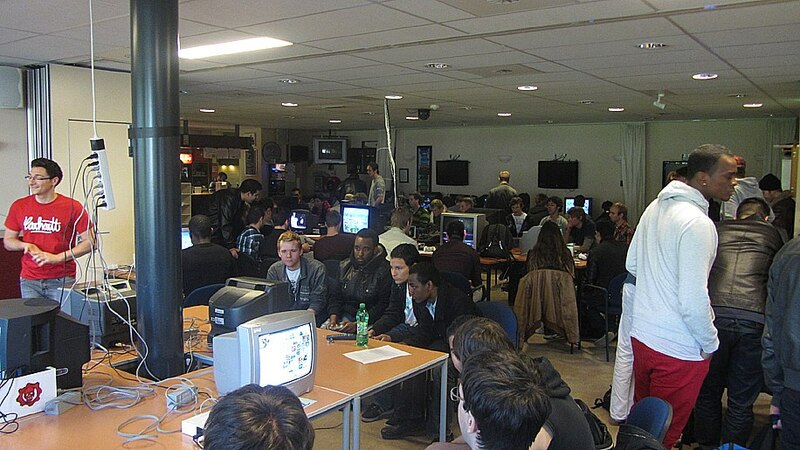 De Patio in Zoetermeer was the venue for all Avalon tournaments so far, as well as Exalador’s ZEST series (2006-2010). They are also home to the competitive Pokémon TCG scene, which is a further testament to their experience with competitive gaming events. The venue can be easily reached by public transportation, as it is right next to RandstadRail stop “Seghwaert”. You can transfer from train to RandstadRail at nearby train stations Den Haag Central Station, Den Haag Laan van NOI and Zoetermeer. For those coming by car, there is free parking available. The venue offers a varied assortment of snacks and drinks at reasonable prices. You are not allowed to smoke inside or bring your own drinks. We expect all entrants to be respectful of the location as well as each other. This includes cleaning up after yourself!